I just found this buried in my files. I can’t believe that I still have this clipping. The article explains itself. Oh. And below the line is a short video selection from that presentation. 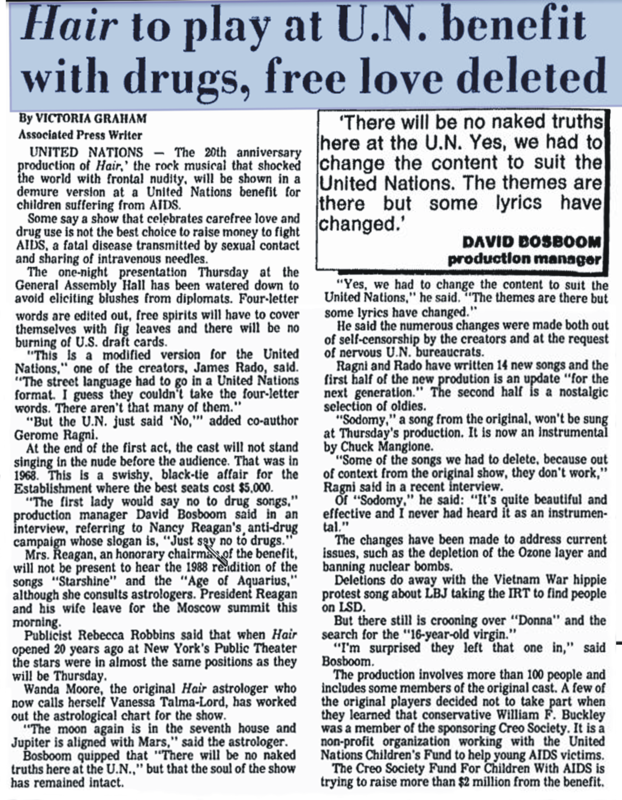 It was the first live production done in the General Assembly Building of the UN … WAY back in 1988.